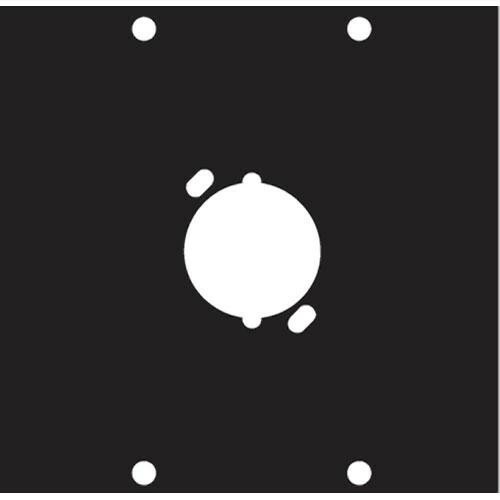 This is a panel module that can accommodate a single XLR female connector. It fits Neutrik FP, MP, MDL, FDL, small Speakon, Switchcraft, Cannon, and Whirlwind. Male XLR's can also fit, providing that you leave a gap on the sides. The panel itself fits into a Middle Atlantic frame kit so you can create custom rack enclosures. Box Dimensions (LxWxH) 3.5 x 3.5 x 0.32"